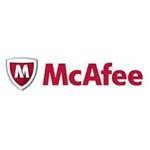 McAfee Gold Technical Support gives you rapid access to the experienced and highly skilled IT security support staff. Around-the-clock, live telephone support delivers emergency product and security assistance when you need it most. Along with access to McAfee's award-winning ServicePortal, you receive 24/7/365 access to McAfee's certified technicians via phone and chat, online case creation and management, unlimited product update and upgrade downloading, online tutorials and installation guides, and access to the innovative virtual Global Lab.